← What’s on a good research project site? I’m always hopeful that we will convince the government to restore funding to CSIRO, the CRC program, and to research areas other than medicine. Australian Government Support for R&D, 1978-79 to 2014-15 by the Australian Parliamentary Library on 17 September 2014. However, even in medical research, the picture isn’t good. Those researchers who are getting funded are ageing, which means that younger researchers are less successful overall (figure 3). 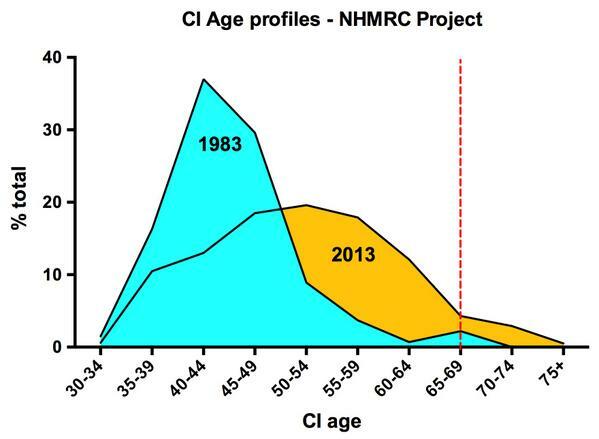 Figure 3: NHMRC CI age profiles 1983 & 2013. Source:- We’ve been boomered, by Darren Saunders on 20 Oct 2014, drawing on data from The looming crisis in our nation’s laboratories, by Nicky Phillips, in the Sydney Morning Herald, on 20 Sept 2014. I don’t know if this picture is the same for all disciplines, but I’m guessing it’s pretty close. What I do know is that 40 years of age (the peak in 1983) is a particularly important milestone for half the audience. This problem is slamming young female researchers every which way. The response to her article was immediate and overwhelming. The article was widely discussed on forums as varied as the Chronicle of Higher Education, Reddit’s Ladies of Science, and PhysicsToday. It jumped the language barrier to Italian and Polish. It evoked a very real, heartfelt response (figure 4). Figure 4: This is what viral looks like for us. Source:- Research Whisperer stats, showing the month when @astrokatie’s article was published (in orange). The ‘best ever’ figure (11,850) is the day after it appeared. So, the issue is substantial and systemic. It’s creating significant issues for a substantial constituency of early career researchers, particularly female researchers. Insecurity in work is one of those issues that doesn’t just stay at work. It permeates all aspects of researchers’ lives. What can research leaders do? The nice thing about the #postdocalypse hashtag is that it brings the discussion together. In any given discussion, there are people suggesting solutions. I want to talk about some of the helpful solutions in the #postdocalypse discussion. They haven’t all come from there, but it has provided a useful focus. The recent #ECRchat on how to develop a career exit strategy had lots of good advice, too. All of this has been filtered through my own experienece. Errors, omissions and opinions are all mine. For this post, I want to concentrate on what research leaders can do. Others have talked about this issue from a high-level, whole of sector approach. That’s not my territory. I did have a section on what researchers can do, but I’ll hold that over for a future post. I’m still thinking (and learning) about that bit. Research leaders (centre directors, lab managers, group leaders) occupy a pivitol role in this issue. They are often on limited term contracts themselves, and have a team are constantly looking at their end dates, looking for new positions. That means that research leaders spend a lot of time looking for good staff to replace the ones that they are losing. This doesn’t work for anybody. Here are some things that they can think about. Know your history. If your group has been running for 25 years, and the lowest your funding has ever gone is $100,000, then step up and demand $100,000 worth of permanent salaried positions. History shows you can sustain that, year in, year out, no matter what. If your group is new, then start that conversation now, because I can promise you that it will be a long slow argument. Know your value. The idea that research funding is ‘soft’ and teaching funding is some sort of ‘hard’ currency might have credence at the university level, but it is a fantasy at the unit level. A decent research group (centre or lab) can have a budget as big or bigger than a new teaching program. The risk in setting up some wacky new grad dip that is dependent on overseas student income is the same as setting up a new research group. So, don’t let them tell you that your research dollars are somehow different from their teaching dollars. A dollar is a dollar is a dollar. It is the same currency so it should be governed by the same rules, including the same access to recurrent funding. Know your international marketing value. The international university rankings are, to a greater or lesser extent, based on research activity. That means that your university’s ability to attract international students is influenced by its ability to do good research. Your research has direct value to the marketing push for international students. It is worth reminding people of that, and maybe getting access to some of the marketing funds they spend in that space, too. Diversify your funding. Do not depend on one single source of funding. I don’t care whether you are a top-flight research group that wins ARC after ARC or a little educational research group that gets most of its funding from the State Education department. If 90% of your funding comes from one source, that’s not an opportunity, it is an unacceptable risk. Your whole research program can be defunded by a change in government policy, something completely out of your control. Know your funding sources. There are over 70 funding organisations on the Category 1 ‘Australian Competitive Grants Register’. Most researchers can name two (ARC and NHMRC), three if they’ve applied for an OLT or a rural industry research grant (even more, if they’ve worked in a Research Office!). Get to know them all. Beyond that, there is a whole galaxy of philanthropic funds, government schemes, and industry sources. Build community support. You build support in the academy through the quality of your research. You build industry support through the impact of your research. You should think about building community support, too. In the research funding space, this means donations. Funding through donations is standard business in medical research and art practice, but not elsewhere. I don’t understand why not. I don’t care whether you are talking to your Advancement office about attracting significant donors or crowdfunding aspects of your research to build grassroots support. Just think about it as a possibility. If you are attracting philanthropic funding, then you are doing the sort of work that can attract donations as well. Fail gracefully. Finally, if everything does go wrong, and you cannot maintain your group, be sure to wrap things up properly. Take care of your staff and yourself. Make sure that they know their rights, and try to help them to find other positions. All things come to an end: if your centre must end, make sure it ends gracefully. Firstly, the graph only shows the age of the Chief Investigator A (CIA) on the grant. It doesn’t tell us how many investigators were on the grant or what age spread across CIs for each grant. Secondly, it is true that the graph shows the age of the CIA on NHMRC grants is getting higher. HOWEVER, the funding rules for NHMRC basically prohibit grants from paying the salaries of the CIA. In other words, the graph does NOT say that the majority of funding is paying the salaries of older researchers. Thirdly, NHMRC grants often include salaries for researchers including ECRs, post-docs and PhD students. The graph does not tell us how many of these positions are being created as a result of the grant. As an aside, do you know where the data for Figure 3 comes from? I’ve not been able to track down a source. Thanks for clarifying this, ELF. I was trying to make the point that the average age of first-named chief investigators (CIAs) has risen dramatically. This strongly implies that Australian medical researchers in the 30-45 age range have much less opportunity to lead funded research projects. This effects their job security and career opportunities. The data originally came from Nicky Phillips, the science writer for the Sydney Morning Herald. She used it to make a different (but equally valid) point in ‘The looming crisis in our nation’s laboratories‘, Sydney Morning Herald, 20 Sept 2014. She drew her data from the Australian National Health and Medical Research Council (NHMRC). In the article, she says “Source: NHMRC. Data before 2003 is incomplete but the best available.” I hope this helps. Yeah I traced the graph back to Nicky but she didn’t cite the source of the data. My concern is that the graph only shows the age of the CIAs. It says nothing about their research track records or stage of their careers. There is Australian data showing that the average age of PhD grads is increasing too. What if the CIAs in Figure 3 are actually relatively early in their career? Surely that would be a good thing? Strategies to reduce age of CIAs would seriously impact mature age grads, and anyone who has taken a career break. It would therefore disproportionately affect women (and undermine NHMRCs aims to increase the number of women receiving grants – see last para here http://www.theaustralian.com.au/higher-education/medical-grant-success-rate-tumbles/story-e6frgcjx-1227094068280, and especially women. Both would be bad for research. Your point about the average age of PhD students in Australia is a good one. I haven’t seen that data. I included the graph as the second point in a three-part argument: funds are low and first-named chief investigators (CIAs) are aging, which is having a particularly strong effect on women researchers under 40 who are trying to establish their lives. You are right that this data doesn’t tell the whole story. There are other chief investigators on the front pages of successful grant applications. We know nothing about their ages. Age of the chief investigators doesn’t actually indicate their time since PhD. The average age of PhD graduate age (in Australia, at least) is increasing. Chief investigators aren’t being paid from these grants. Others people are, though, in the budget line items. I agree that winning a tier one grant (National Science Foundation in the US, Research Council in the UK, Canada or Australia) will enhance your career, wherever your name appears on the front page of the application. I agree that time since PhD completion, for all chief investigators, would tell us a different, and probably more nuanced story. I stick by my argument that lack of funding and increasing age of first named chief investigators (CIAs), as shown in the data that I had available at the time, is a double-whammy for female researchers who are trying to establish their careers and their families at the same time. I think that this data does tell a coherent story. If all the anecdotal information said that young female researchers were getting grants, I would have presented this data as an interesting counter to common wisdom. But that isn’t the case. My experience advising research applicants, and the anecdotal information that I’ve heard, says that the problem is getting worse, not better, for young researchers, especially female researchers. So I presented this data and this argument as a valid representation of the problem. I wasn’t suggesting strategies to funding agencies – I was trying to provide advice for research group leaders about how they can help to keep their teams together, and make their funding envelope more robust. Others have used this sort of data to suggest what funding agencies might do. In my experience, funding agencies attack these issues with all the data and the resources that they have to hand. For example, the Australian Research Council said that they commissioned extensive research before introducing the Research Opportunity and Performance Evidence (ROPE) criteria. They report that this has improved the chances of people who have taken a break from research, and for people who are in teaching and research positions. You can sometimes see them experimenting and trying out new approaches through traces left in the literature. Jayasinghe et al describe how the ARC experimented with changing the peer review process. + Jayasinghe, Upali W., Herbert W. Marsh, and Nigel Bond. ‘A New Reader Trial Approach to Peer Review in Funding Research Grants: An Australian Experiment’. Scientometrics 69, no. 3 (1 December 2006): 591–606. doi:10.1007/s11192-006-0171-4. Their earlier work had discredited the idea that applicants should be asked to nominate assessors. + Jayasinghe, Upali W., Herbert W. Marsh, and Nigel Bond. ‘Peer Review in the Funding of Research in Higher Education: The Australian Experience’. Educational Evaluation and Policy Analysis 23, no. 4 (21 December 2001): 343–64. doi:10.3102/01623737023004343. I don’t believe that the research councils in Australia will make changes to their funding processes based on Nicky’s newspaper articles or my blog posts. I wish! Isn’t gonna happen.